Sausser Summers, PC was one of the top trademark filing law firms in the U.S. in 2015, 2016, 2017 and 2018. 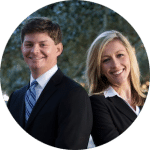 * Attorneys Brent Sausser and Alex Summers created this law firm to assist businesses, large and small, with their intellectual property needs. What makes this law firm different than most other law firms offering similar intellectual property solutions is instead of charging clients on a per hour basis, our firm offers low trademark attorney flat fee services. By using a flat fee trademark service you know the cost of filing upfront, without the worry of monthly hourly invoices. Our flat fee trademark services give our clients peace of mind because they don't have to worry about escalating fees. Often, attorneys charge their clients based on an hourly rate. This type of fee leaves clients with some uncertainty towards the overall cost. By using a flat fee trademark system, we have eliminated this feeling of uncertainty and we make it easy for our clients to know upfront what their total expense will be. Protecting intellectual property represents one of the most important steps a business can take to safeguard its investment. Trademark registration provides numerous benefits, chief among them being to secure what you've worked so hard to establish and to prevent others from cashing in on your goodwill. All businesses should register their name, at the very least, to deter someone else from obtaining the same trademark. In addition, businesses should keep a watchful eye on those trying to use a similar name. Without proper policing you stand to lose the rights afforded to you from registration. Our trademark attorney flat fee services provide our clients with excellent service at an affordable price. We serve clients in all 50 states and worldwide. Hiring an attorney can be daunting, but at Sausser Summers, PC we want the process to be seamless and simple. That's why we offer a straightforward checkout service. You pick your flat fee trademark service, fill in our short questionnaire, we contact you within 24 hours to discuss the details of our service, and then our trademark attorneys get to work on your behalf. Using a trademark attorney can increase your odds of a successful registration. The US government recommends hiring a trademark attorney to assist with your application. Our trademark lawyers focus on your needs, and through our representation make sure that you file your application correctly, the first time. The attorneys at Sausser Summers, PC work closely with our clients to understand their needs and provide them with sound professional advice. We refuse to offer incomplete services (such as simply filing for registration) because doing so would leave you open to legal risk. Rely on us to handle your intellectual property matters. Our trademark attorney flat fee services can assist your business in protecting your most valuable asset, your name. We provide competent service in a simple, straightforward, and affordable way. You give us your trademark information via an online form. We'll conduct a comprehensive trademark search to ensure no other marks will prevent your US trademark registration and send you a legal opinion letter detailing the results of the search. We will file your US trademark application and become listed Attorney of Record on your file. Also, we'll continually update you regarding the trademark's status as it moves through the trademark registration process. Our trademark flat fee prices give you the option of paying your legal fees upfront so you aren't surprised by an hourly bill at the end of our legal representation. It truly makes the process simple, you provide us your trademark information, you pay for the flat fee trademark service, we'll conduct the trademark clearance and file your trademark. Trademark Registration - conduct a search and file the trademark application on your behalf. Trademark Search - conduct a trademark search of the US database, all state trademark databases, a domain name search and common law search. Trademark Response to Office action - respond to the USPTO regarding your trademark Office action in hopes to overturn the Examiner's rejection. 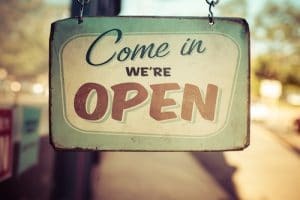 Trademark Cancellation - filing a cancellation based on legal grounds against a trademark that may be preventing your registration. Trademark Renewal - filing the appropriate documents to maintain and renew your trademark. The above is just a short list of our flat fee services. Most of all, please contact us if you have any questions. A trademark attorney will speak with you directly. Our trademark attorneys are graduates from The University of New Hampshire Law School, a law school consistently ranked among the top intellectual property law schools in the United States. We provide personal individualized representation. A trademark attorney is assigned to work with you directly. Our firm makes the trademark process simple by using online forms and sending easy to understand trademark status updates throughout the trademark process. *Statistics based on total number of U.S. federal trademark applications filed in each year mentioned, and listed within the top 100 law firms in the U.S.
IT’S TIME TO PROTECT THE ONE ASSET THAT SETS YOU APART. YOUR NAME. This website is for general information purposes only. The information on these pages should not be considered as legal advice. Testimonials reflect results achieved on behalf of one client, which does not necessarily reflect that similar results will be obtained for other clients. The testimonials do not constitute a guarantee, warranty, or prediction regarding the outcome of your legal matter. TRADEMARK ATTORNEY ADVERTISING. * Statistics based on total number of U.S. federal trademark applications filed in 2015, 2016, 2017, and 2018 and listed within the top 100 law firms in the U.S. for the respective year. Formerly Law Firm of Sausser & Spurr, LLC. © Sausser Summers, PC. All Rights Reserved.